The first weekend of the year is a busy one on the digital modes. 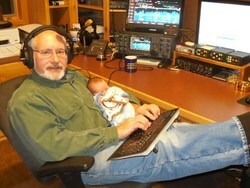 The ARRL RTTY Roundup and the 070 PSK Fest provide lots of opportunities for keyboarding fun. There are many key-pounding opportunities as well - why not get a fast start on that resolution to get your CW up to speed this year? This issue is somewhat attenuated due to the editor taking a bit of a holiday season vacation - best wishes in the new year to all of our readers! The story in the previous issue about Voice of Russia shutting down should have been attributed to Rick, WW1ME. 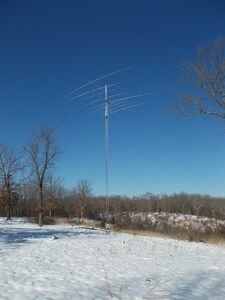 Thai hams got an early Christmas present - and so did the hams looking for Thai contacts on the HF bands! Champ E21EIC passed along the good news, "All 28 Thai hams who passed the US exam for General & Extra class got their letter of approval from NBTC [the Thai FCC - Ed.] on Dec 18, 2013." While the process took 20 months, "from now on Thai hams with General & Extra class US licenses can apply and wait only about two weeks to get their Thai HF license." Good job, Champ, and we look forward to more HS and E2 stations on the air from Zone 26! If you like to read about some serious DX of the upward-looking sort, International Radio Telescope Projects - A Life Among their Designers, Builders, and Users by Jacob Baars sounds like a good read. The book traces his career involving many of the major radio telescopes from Green Bank through the latest mm-wave dishes. Can you hear me now? If you like a writeup that really gets "dish-y", check out Bruce W9FZ's interesting, engaging, and photo-laden extended results for the 2013 ARRL 10 GHz and Up Contest. The URDXC Committee sends word that results of the 2013 Ukrainian DX Contest are now available and wish us all a Happy New Year! The CQ World Wide Contest's online database "search by call" feature is a lot of fun. After you get done admiring your personal accomplishments, enter some other calls to see how they've done and where they've been. For tips on how to get spotted more easily by the Reverse Beacon Network, see some of the presentations linked from Bob N6TV's page on QRZ.com. Similarly, this can also help you avoid getting spotted if that suits your strategy a bit better. From Lou Frenzel, W5LEF in Electronic Design magazine comes a pair of interesting technical articles that address both the latest wireless technology and the earliest. Technologists will be surprised at the content of the Instructables item, "Wirewrapping Basics." It's time for some holiday lyrical liveliness and thus a Dr Beldarization of the John Hartford tune, "Steam Powered Aereo-Plain". You probably know John better from his classic "Gentle On My Mind" but the album "Aereo-Plain", released in 1971, changed bluegrass and acoustic music in a big way. I have always loved the image of a steam-powered airplane, derived from John's love of riverboats, and when the thought occurred of morphing "aereo-plane" into "radio wave," well, the image was just right for the simultaneous ending of one year - perhaps you are reading this between Straight Key Night QSOs on an old tube rig - and the beginning of the next. As usual, Dr Beldar got a little carried away and added a couple of verses, as well. You can hear the original online and sing along, perhaps? Happy New Year to all of the Contest Update family - I hope you have a wonderful 2014! That says "Steam Powered Radio Wave"
Just watching those layers fly by.